Skulls, gravestones, and ghosts? Boring. We've seen those yard decorations hundreds of times. You know what we'd like to see? Something unique. Something that tells a story. Something like this Crashed UFO Inflatable. 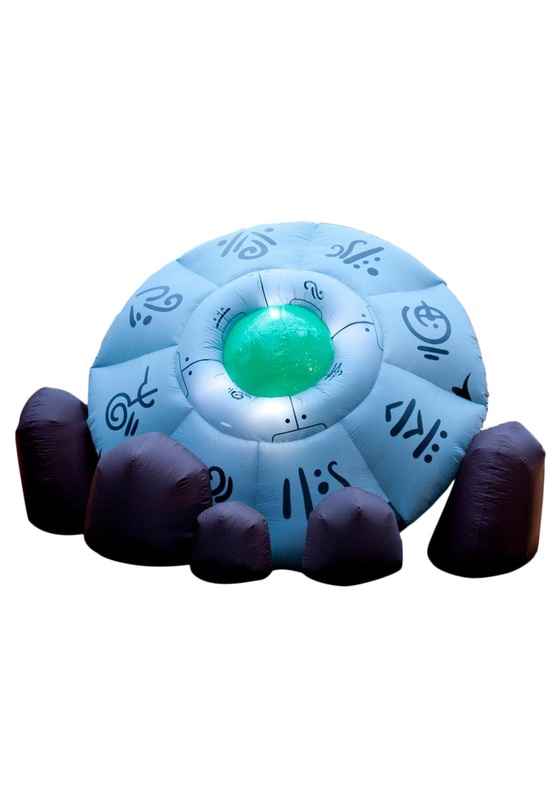 This inflatable makes it look like the aliens took a wrong turn somewhere and took a crash landing on your front lawn. It's spooky and mysterious. It'll give passers-by a pause, cause curiosity in the community, and overall just look really cool. This inflatable indoor/outdoor decoration lights up when plugged in and inflates in minutes. It's six by ten feet wide. This decoration will be galaxies ahead of your neighbor's same old boring decor. Seriously. As decoration options go, this one is stellar. Alright, we think you get the point. Don't alienate us.